Ten penguins are sliding into the legendary melting iceberg of tasty treats! 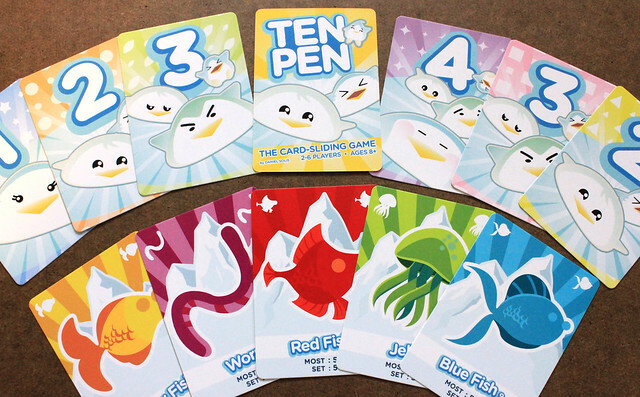 TEN PEN uses cards in a fun and different way! 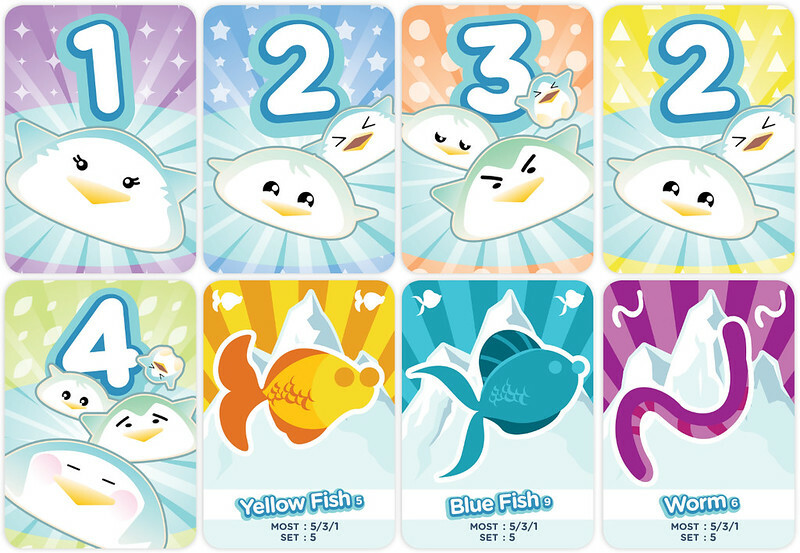 You slide cards ("Penguins") across a table, trying to hit a deck of cards ("the Iceberg"). Penguins closest to the Iceberg get first choice of Treats! Your goal: Collect the most Treats of a kind and sets of one-of-each Treat! This title was added to our catalog on April 03, 2014.